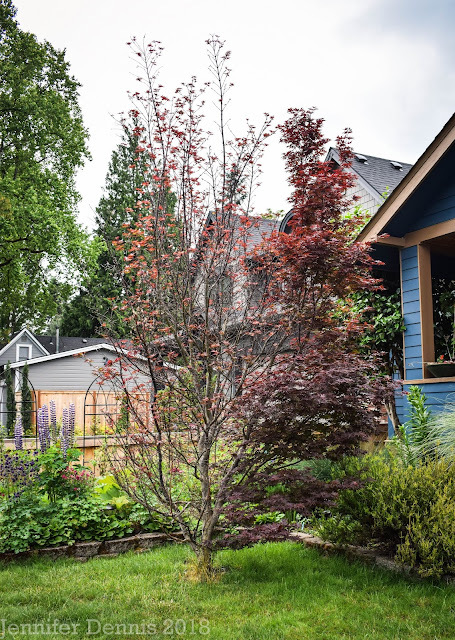 Patch would invoke a cute, tidy, tucked away plot of ground dedicated to these fruitful wonders. 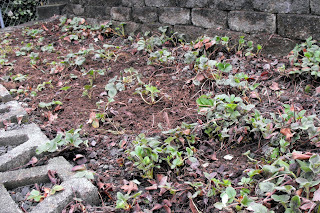 Instead I have a rocky terrace that has been home to my strawberries for the past 3 years. I began with 8 plants and these wildly stretching fellows have overrun the rest of the terrace. At first glance today's task looked a little daunting (like a rat's nest to be exact). But, I was determined and knew it needed to be done as I was a bit late to the job already. 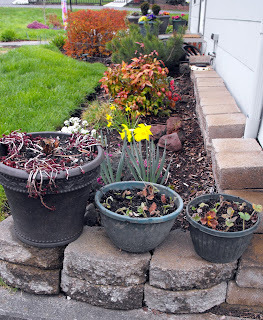 Clipping, weeding and turning over dirt, I accomplished my goal. I also ended up with 30+ new strawberry starts and felt guilty about just tossing them. 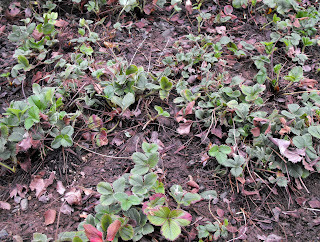 So, I planted as many as I could to expand the strawberry 'terrace'. That is a big job, I just worked on mine a couple of weeks ago. 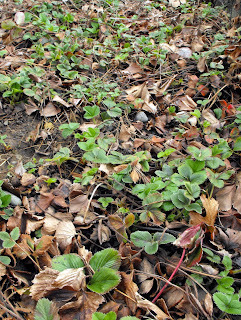 They do make a good ground cover as well as those juicy berries. Hope you're having the same beautiful weather we've had today.